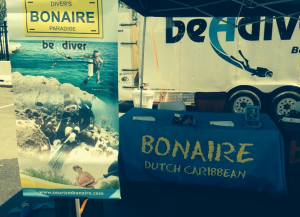 As the title sponsor for DEMA’s largest and most recognized diver acquisition and awareness program, the Be A Diver Pool, Bonaire continues to make a big impact at all of the consumer shows here the Pool has exhibited. 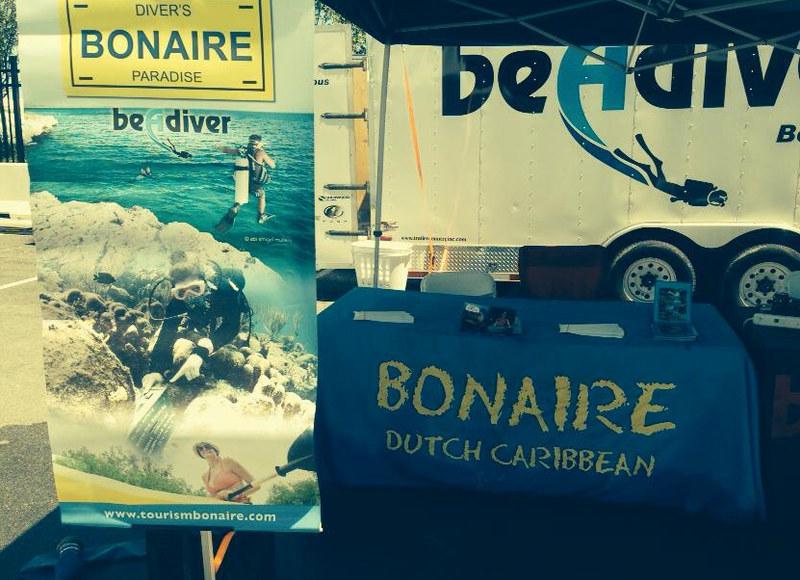 Bonaire’s branding and signage had a strong presence at Travel & Adventure Shows, Boat Shows and aquariums throughout the country that the Pool has exhibited at in the first half of 2015. In addition to Bonaire’s signage visibility at the Pool, Bonaire was mentioned in news coverage as one of the top scuba diving destinations to an audience of over 1,177,319 worth more than $140,000. The Pool is back on the road for the second half of 2015, and will be exhibiting at the following consumer shows: Wounded Warriors Watersports Festival, Loveland Living Planet Aquarium, Denver Downtown Aquarium, Fall Fun Rally, Houston Downtown Aquarium, Riverfest and Fort Meyers Boat Show. Be sure to follow BonaireTourism’s YouTube channel to watch news coverage videos of the Be A Diver Pool.